This web software is a real estate agency management tool and allows online customer management, sales made​​, the offers displayed property for sale / rent in the site or reseller program, viewing and accepting the offers sent by other users, management fees, invoices and receipts issued etc. The program displays various graphical reports based on customer needs, includes a tax calculator, monitor activity. The custom software provides complex statistics, export the information in various formats (. Doc. Pdf,. Xls,. Html) generates personalized prints and enable SMS alerts to various actions. If you want to buy a real estate management program you should know that it can be administered through its web site by your agency. So you will save money and you choose an effective solution to promote the best quality / price ratio. Transportation agencies can purchase online management professional programs for race / routes and tickets management. Through management program conducted by Royalty Webdesign the companies can manage data races, cities, routes, stations, seats, tickets sold situation and customers per race. The management software is custom mafe so you can choose various additional functions: adjusting prices / class / race / type , managing ticket agencies partner and adjust the series of tickets allocated to each agent, managing all customer and financial statements , displaying various reports and statistics. Booking Module of transport software dedicated to partner agencies or customers is animated and allows selection of the race on a dynamic map. Also is shown the situation of every race live with the ongoing possibility of adding comments from both the administrators and visitors. This type of management program aims to hotels and restaurants optimizing business and enabling customers to manage inventory, customers, orders, invoices and tax receipts. Management programs are linked to the cash registers and touch screens and allows the administration of menu, users, services and prices, displays statistics and graphical reports. Royalty designs management software for hotels and restaurants with a professional graphical interface that allows customization and design of restaurant plan/ hotel according to each client. Program offered by our company is fully customized and adapted to the customers' requirements. The application is developed using databases and allows users to simultaneously access the program by internet. Management program dedicated to restaurants and hotels was conducted by our specialists IT in collaboration with experts in the field and in the hotel restaurant. Management programs dedicated to clothes shops , jewelry, home appliances, supermarkets stores etc is designed for inventory management, sales, orders, wages and employees, invoices and receipts, customers, etc..
Any company can benefit from a management program. If you have a sketch of the desired program is sufficient to present it to our company to establish a quotation. 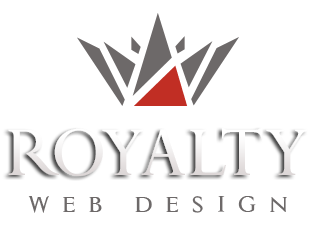 Royalty Webdesign will be available for information and schedule a free consultation to establish the design and specification of software that you will achieve. The main advantage of this type of "web software development" is that it can be accessed online by an unlimited number of users on an unlimited number of stations, so do not need a license for each workstation.